Counting the six law schools located in Washington DC or the District of Columbia, there are 203 ABA accredited law schools in the United States. Here is a list of the ten states in the United states with the most law schools. For each state the number of public and private law schools is also given. Overall, there are more private law schools than public ones in the United States by a comfortable margin. Added together, the top 10 states in the United States with the most law schools have 106 total law schools which is well over half of all the law schools in the country. 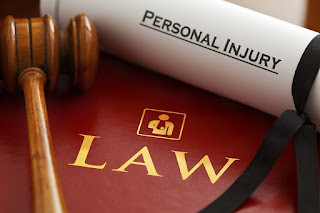 If you need a good lawyer for a lawsuit, legal settlement, real estate deal, litigation, personal injury, class action, medical malpractice or any other legal matter does it matter where the lawyer went to law school? A lawyer's track record is probably more important than where he or she went to law school. California easily leads the nation in most law schools with 21. Surprisingly, only five of the 21 law schools (Berkeley, Davis, San Francisco, Irvine and UCLA) are public. Stanford is the best known law school in the state. USC, Pepperdine, Santa Clara and San Diego (the Catholic school not San Diego State) are some other private colleges with law schools in California. New York State has the second most law schools with 15 but New York easily leads the country in total number of lawyers. Only two of the 15 law schools in New York State (Buffalo and CUNY) are public. Private colleges in New York with law schools include Columbia, Cornell, Fordham, Pace, St. John's and Syracuse. Florida has the third most law schools of any state in the United States with 11. Four of the law schools (Florida A&M, FIU, Florida State and University of Florida) are public. The best known private college in Florida with a law school is the University of Miami Law School. Illinois is the first of four states that are all tied with the fourth most law schools in the United States. Northern Illinois, Southern Illinois and the main University of Illinois are the three public law schools in the state. DePaul, Loyola, Northwestern, Chicago-Kent and the University of Chicago are the five private colleges with law schools and they are all around the Chicago area. Massachusetts also has nine law schools. UMass is the only public college in Massachusetts with a law school. Boston College, Boston University, Harvard and Northeastern are prominent private colleges with law schools. New England Law was founded as a law school for women in Boston in 1908 but is coed now. Ohio is another state that has nine law schools. Five of the nine law schools in Ohio (Cleveland State, Ohio State, Cincinnati, Toledo and Akron) are public law schools. The University of Dayton also has a law school but it's a Catholic college. Texas is the fourth state to have nine law schools tied with Illinois, Massachusetts and Ohio. Five of the nine law schools in Texas (Texas Southern, Houston, Texas Tech, University of Texas and Texas A&M) are public. Baylor and SMU are two of the private colleges in Texas to have law schools. Pennsylvania ranks eighth in the United States among states with eight law schools. Four of the law schools in Pennsylvania (Temple, Pitt and two law schools at Penn State) are public. The four private law schools are Drexel, Duquesne, Penn and Widener. Virginia is tied with Pennsylvania with eight law schools. Four of the law schools in Virginia are public (Geroge Mason, William and Mary, University of Virginia and the Army operated JAG Legal Center and School). The four private law schools in Virginia are Appalachian, Liberty, Regent and Richmond. Rounding out the list of states in the United States with the most law schools is North Carolina which ranks 10th with seven schools. Only two of the seven law schools (North Carolina Central and University of North Carolina) are public. The five private law schools in North Carolina are Charlotte, Duke, Elon, Campbell and Wake Forest. What Iconic Hollywood Actor Died from Mesothelioma?